Signed photo of Cyrille Regis the Coventry City Footballer. 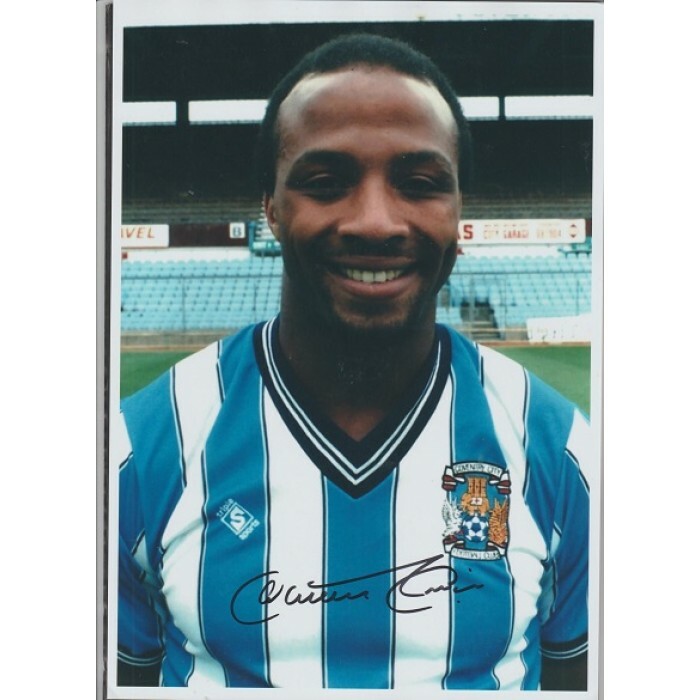 Home » Signed photo of Cyrille Regis the Coventry City Footballer. Cyrille Regis. This is a fabulous A4 size, colour photo of Cyrille Regis the former Coventry City Footballer. The photo has a narrow white border around it and shows a perfect portrait of this great striker. The photo provide aa great example of his signature in fine black marker pen. Cyrille Regis played 238 league games for City between 1984 and 1991, scoring 47 goals. Regis also won 5 full international caps for England. Very sadly Cyrille passed away on the 14th January 2018 at the tender age of just 59yrs old!